This was a tough blog for me to write. I don’t want to come across as depressed, selfish, petty, or childish, but at the same time, I keep thinking about how I promised at the beginning of this fight to share this journey. And if I only show the inspirational days, I’m not really sharing the experience. Instead, I’m just creating a false narrative, which is not something I want to do. Before I lost my hair, I never really understood why cancer patients got so upset over losing their hair. It’s only hair, right? Everybody understands it’s a side-effect of the treatment, not the disease. And it grows back. There’s nothing to be ashamed of. Especially if you’re a man, because you get to enjoy the fact that many men go bald by choice in today’s day and age. So it shouldn’t be a big deal, right? We’re fighting cancer… surely something as superficial as hair won’t make us flinch. It is a big deal. And it has absolutely nothing to do with vanity. Before I get into why it’s a big deal, let me take a moment to explain something about fighting cancer. It’s both a family experience and it’s a lonely experience. Every person who loves you is fighting cancer with you. They stand with you. They visit you. They donate to your cause. They cry with you. They celebrate with you. They pray or send good vibes to you. And without that support, I know I wouldn’t have beaten the cancer the first time, so I’m deeply appreciative of it. No… it’s more than that. I’m greedy for it. I crave it. I’m desperate for it. And that’s because fighting cancer is also a lonely battle. At the end of the day, it’s a one-on-one fight. At the end of the day, I’m the one with poison pumping through my body. I’m the one with cancer. I’m the one who has to literally fight to live. I’m the one who has to… survive. Everyone celebrates my victories with me and everyone shares in my failures with me… but ultimately, they are my failures. If I beat this, it’s because of my support I receive. That’s the truth. But if I lose this fight, it’s because I didn’t fight hard enough. That’s the truth too. So while this is a group battle, it’s also a solo duel at the exact same time. And how do I win the solo duels? I win them by drawing strength from the support you guys give me when you can give it. See, it’s the group battles that give me the strength to win the solo battles. I win the solo duels by letting all the support I get on the other fights leak onto these lonely ones. So even when I’m fighting alone, I can’t win alone. I still draw on the support around me. Sometimes it’s hard to determine which is harder on a cancer patient: The cancer itself or the loneliness that sometimes comes with fighting cancer. So yeah… I live in constant fear of losing that support system. It’s my greatest fear. And I suspect the same is true of others like me. I don’t think I’ll lose that support because people are mean and certainly not because they don’t care. Of course they care. I am the luckiest man in the world when it comes to the amount of love and support I’ve received in this fight. When it comes to the people in my world, I feel nothing but gratitude. You all saved my life. And you continue to save my life. So my fear of losing your support isn’t a statement about you. It’s a statement about me. And about life. Because life is a very demanding thing, most people just don’t have the time or ability to hyper-focus on my problem, however big it may be. Eventually, they have to live their own lives. And I live in fear of that because I’m afraid when the most important battles are being fought, life’s demands will have stripped the good people away from me and I’ll find myself looking Death in the eye and nobody will even know it’s happening. They’ll just find out… after the battle is over. As soon as we realized what was happening, Laura and I did the only thing we could do. We embraced it. We shaved me slick bald. I cried because I didn’t recognize the man standing there looking back at me. He wasn’t even a man. He was like the blueprint of man… or the foundation of a man, waiting for all the detailing to be added by life. If I don’t recognize myself, does that mean the people around me won’t recognize me either? 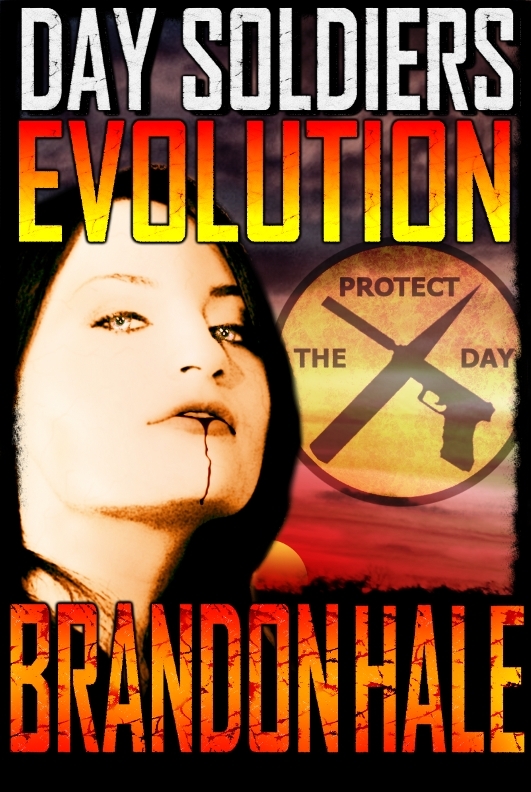 When Laura looks at me, does she still see Brandon? Or is she now looking at a cancer patient she doesn’t know? Will my parents have the same reaction? My siblings? All of my dearest friends who were there for me the last time and this time? When they all look at me, who will they see? What will they see? They’ll know intellectually, of course, that it’s me… but will they see me when they look at me? Will they see Brandon or will they see a cancer patient? And if they don’t see Brandon, how easy will it be for them to forget that I’m in here at all? And if they forget that I’m in here, will they forget to offer me that massive, amazing, beautiful, kind support that they normally would be sending me? Before, they’ve always sent that support to Brandon, not just any random stranger. But Brandon isn’t the person staring back at me from the other side of that mirror. I don’t know that guy. Who is that guy? And that’s when I understood. I hadn’t lost my hair. I felt trapped. Trapped inside a body that is not mine. And I knew the more I screamed, “I’m still in here!” the less I would sound like myself to those who love me. And that’s when the fear turns to terror… because the possibility of having to face Death alone immediately becomes a much more real prospect. I know it’s not logical. I know it’s barely sane. But keep in mind… my brain is currently under the influence of some very powerful chemicals. Those chemicals weaken me in ways that go beyond the physical. They weaken my resolve. They weaken my inner strength. They weaken my soul. And it’s in that weakened state that we (cancer patients) look in the mirror to see a stranger staring back. And in that moment, we’re utterly alone. And when you’re fighting cancer, alone is the scariest place you can possibly be. And that’s why losing your hair matters to a cancer patient. As always and forever, I love you guys. Each and every one of you. p.s. Please know that my intent here is to help increase understanding, not to get pity. The big picture is still intact. I’m still beating this. I’m still doing well and I’m still going to win this fight. This blog is but a snapshot of the fight with cancer. No more, no less. 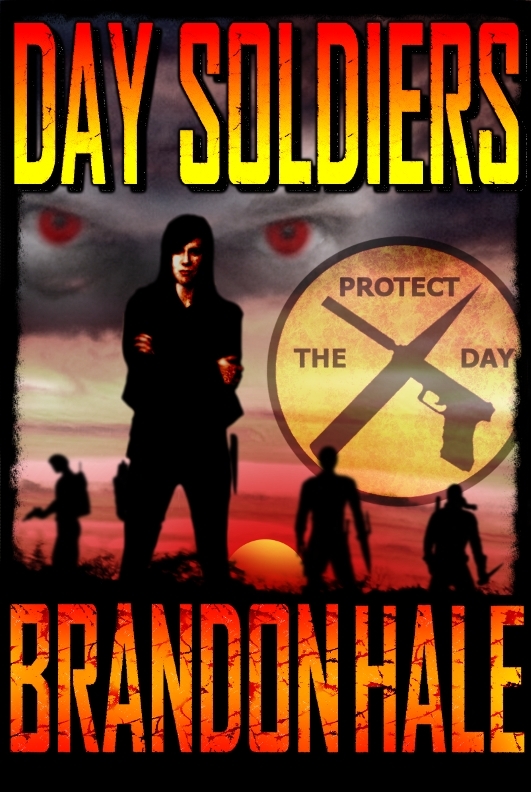 The first Day Soldiers novel is now FREE at all major online retailers! Pick up your copy today. And after you read the first book, be sure to pick up the rest of the series. 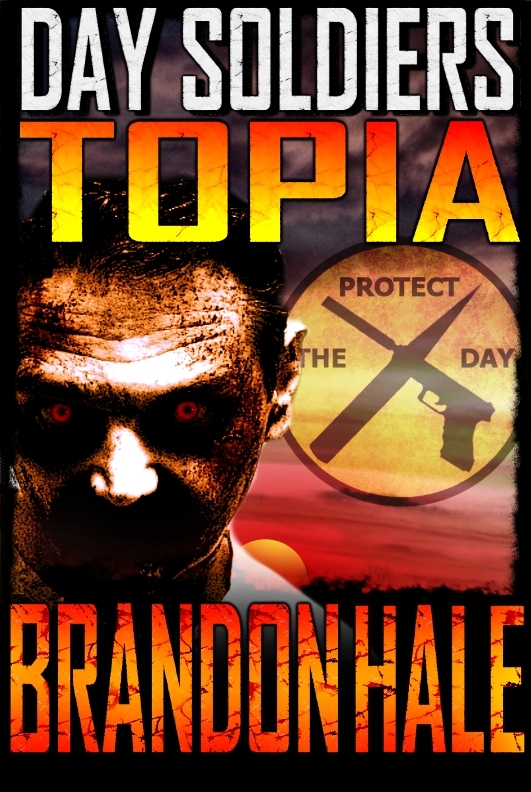 Once you've finished Purging Fires, Topia (Book Three) is waiting for you. 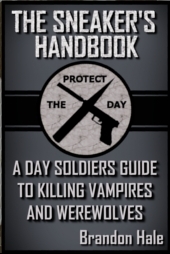 And don't forget to check out the Sneaker's Handbook, written at the request of fans. 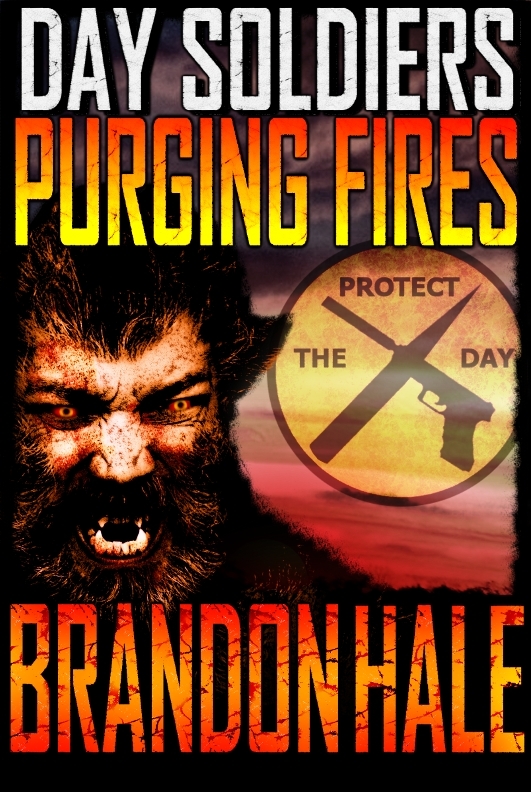 Be sure to hop over to our Products Page to see all the available books, novellas, and short stories from Brandon Hale.